How much does Zoom! Teeth Whitening cost in NYC? The average cost of Zoom! Teeth Whitening Treatment in NYC is $500. This cost also includes take-home trays used to maintain the results. Zoom! Teeth Whitening Treatment time varies; however, the average time in Dr. Jacquie Smiles’ office is approximately one hour. The Zoom! 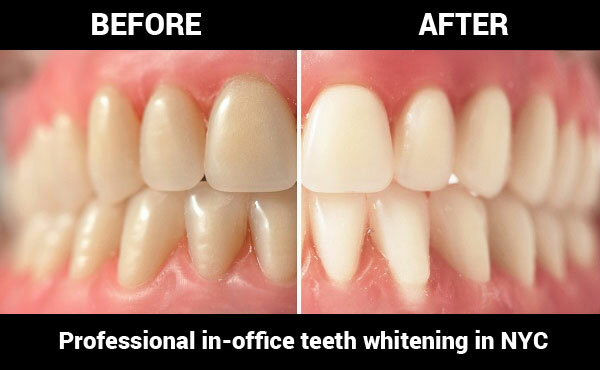 Teeth Whitening System is a bleaching treatment that is used to lighten discoloration of tooth enamel. Some of the causes of tooth discoloration include drinking coffee, tea, red wine as well as drinking soda. Other causes include smoking cigarettes and cigars that can stain your teeth. If you are an individual who is experiencing stains from regular use or participation of these items, this is the perfect solution. You will no longer feel self-conscious about your smile or feel like you have to break your habit of enjoying your morning coffee just to keep your teeth white. This will enhance your healthy smile while you continue to maintain excellent oral hygiene. Regular teeth cleanings are recommended prior to the actual Zoom! Teeth Whitening session.